Textron Off Road announced their 2018 UTV lineup, the first since Textron Off Road replaced the Arctic Cat name for UTVs and ATVs. The 2018 UTV lineup includes 15 different models including Wildcat, Stampede, Recoil and Prowler nameplates. While Textron Off Road kept many of the Wildcat offerings they have ditched the HDX and most of the Prowler offerings which had previously been sold under the Arctic Cat name. They also dropped their non-EPS base model for their Stampede lineup and changed the names of the other Stampede models. 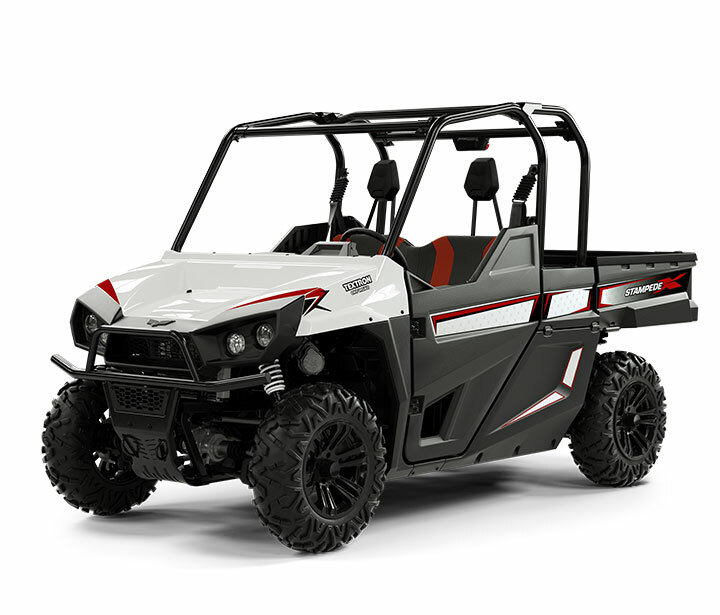 The 2018 Prowler 500 from Textron Off Road. The 2018 Wildcat X LTD now under the Textron Off Road brand. The 2018 Textron Off Road Stampede X previously known as Stampede EPS+. 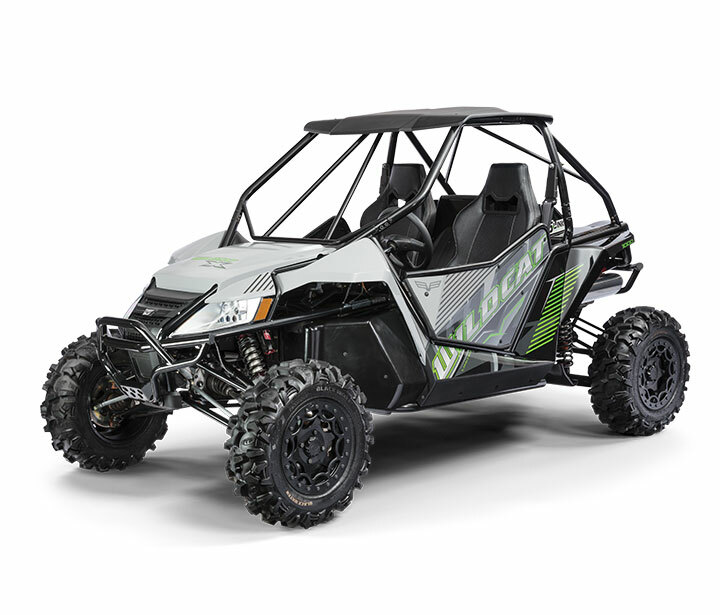 While the Textron Off Road brand has absorbed the Arctic Cat brand, production for the Stampede models is being integrated into existing Arctic Cat production facilities. The Stampede model production is moving to the Thief Falls River, MN facility to join the Wildcat and Prowler production. Stampede engine production will move from Germany to St. Cloud, MN, which produced engines for Arctic Cat UTVs, ATVs and snowmobiles. Current owners of Arctic Cat side-by-sides and ATVs can continue to visit their Arctic Cat dealer for vehicle service, parts and accessories. The LandStar LS670 from American LandMaster. Utility vehicle manufacturer American LandMaster announced a new facility in Columbia City, IN that will become the company’s headquarters and consolidate manufacturing operations. The new facility will cost $4 million to lease and equip. Manufacturing operations from Roseland, LA and nearby Fort Wayne, IN will be moved to the new location. Nearly 70 jobs are expected to be created and production at the facility is scheduled to begin in September. The company can qualify for up to $420,00 in tax credits and another $70,000 in training grants from the Indiana Economic Development Corporation, based upon reaching certain employment targets. County officials are considering additional incentives. 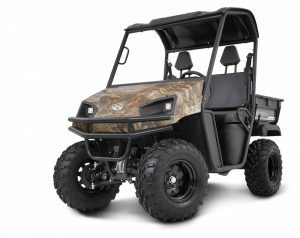 While the growth in the UTV market has slowed, investments like this and others from the major players indicate that they continue to expect some market growth. John Deere spent an estimated $35 million on the expansion. 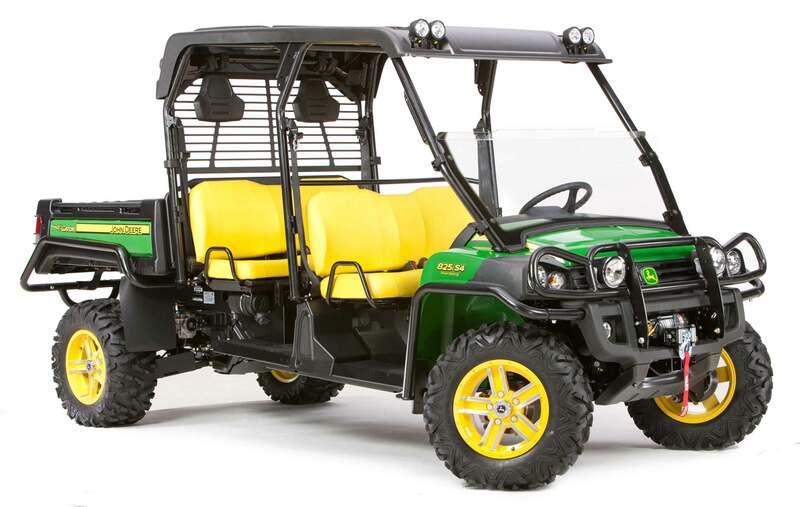 The work and commercial utility segment, where the Gator is popular, has been targeted by a number of companies in search of sales growth. Coupled with the lower overall UTV market growth and other factors, this has increased the competition in the UTV market. The Intimidator brand of UTVs includes the Classic series shown here, a Crew series and a Truck series. Each series comes with several powertrain options including diesel, gas and electric depending on the series. Utility vehicle and lawnmower manufacturer Intimidator, Inc. of Batesville, AK announced plans for a $12 million expansion to address growth in both product markets. The expansion will include a second manufacturing plant and the addition of 400 jobs over the next four years. The company makes Intimidator UTVs, Bad Dawg UTV accessories, Ground HogMax disc plow for ATVs/UTVs, Spartan zero-turn mowers and the Gourmet Guru Grill. The company is owned by Robert and Becky Foster. As part of the expansion, the company will receive support from the state in the form a $1.5 million community development block grant, a cash rebate equal to 4.25 percent of annual payroll for the new jobs for five years, and sales tax refunds on building materials, machinery and equipment associated with the expansion. Comment: Earlier this year Kubota also moved ahead on an expansion of their utility vehicle manufacturing facilities in the US. Both Kubota and John Deere compete in the farming market segment and other markets for work utility vehicles. These investments indicate that the UTV market is growing and that major manufacturers expect it to continue going forward. The John Deere expansion may be an indication that increased vehicle customization is a trend moving forward. 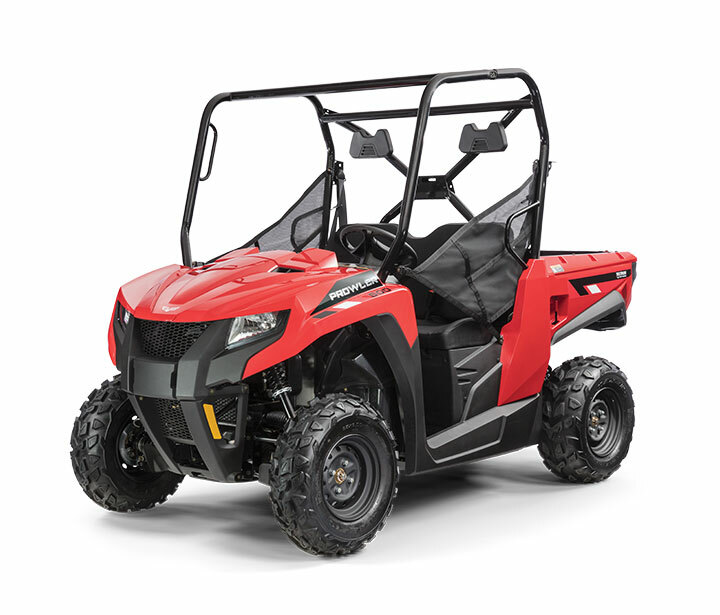 ORV sales were led by global RZR shipments and stronger U.S. sales, partially offset by continued weakness in Canada, along with unfavorable international currencies. Global Adjacent Market third quarter revenues increased 10% and year-to-date revenue is up 4%. European Work and Transportation declined mid-single-digits percent, due primarily to currency weakness and some softness in Goupil and Mega. The European quadricycle industry remains flat year-to-date with Aixam retail up modestly and increasing market share. Third quarter defense revenue increased over 50%, driven by strong momentum for MRZRs and increasing international demand. Year-to-date defense sales are up high-20%s. International revenue increased 1% in the third quarter with strong growth in Indian and RZR brands and in the Latin American region, but somewhat offset by weak currencies, which led to revenue declines in Europe and Australia. Multix, the new product through a joint venture with Eicher Motors, is now in market and initial consumer satisfaction is encouraging. Construction of the the Huntsville, AL ORV manufacturing plant is on schedule to start production in Q2 2016 with a focus on creating production capacity for the Ranger product line. Global Adjacent Markets will look for appropriate acquisitions. Models like the 2015 Wildcat Sport XT help make the side-by-side business a bright spot for Arctic Cat. Last week Arctic Cat reported earnings for the first quarter of their 2016 fiscal year with the company losing $1.1 million on sales of $134 million. The following is a summary of the highlights from the earnings call with a focus on side-by-sides. Sales of Wildcat recreational vehicles helped drive recreational off-highway vehicle (ROV) sales. Sales of ATVs and ROV side-by-sides decreased 17% to $52.9 million from $63.8 million in the year ago quarter. Retail sales increased significantly but shipments to dealers decreased in order to substantially reduce dealer inventory. Management believes side-by-side retail sales outpaced the industry in North America. ATV sales were down as the management continued to reduce ATV dealer inventory. Inventory was reduced by approximately 4,000 units. Management has set goals of improving and expanding the Arctic Cat dealer network, emphasizing end-user focused product development, making strategic acquisitions and partnerships and creating a brand marketing powerhouse. Management estimates that ATV-ROV retail sales for the quarter were up high teens. For the fiscal year ending March 31, 2016, Arctic Cat estimates full-year net sales in the range of $690 million to $705 million with ATVs and side-by-side sales to rise 9% to 12%. Comment: The relatively new management team appears to be on plan in executing their turnaround of the ATV business while investing in initiatives for future growth. The side-by-side business continues to be strong. How well they can continue to execute on dealer network relationships and expansion will be a key to continued success. Utility vehicles like the Kubota RTV400Ci will be built in a new manufacturing facility starting in 2017. Comment: Kubota joins Polaris and Arctic Cat as the latest utility vehicle manufacturers to announce sizable investments in new and/or upgraded manufacturing facilities. This indicates that manufacturers are optimistic about the overall market in general and their products in particular. It also indicates that competition in the utility vehicle market will continue to be fierce and likely become more intense as these manufacturers will have to increase sales to generate returns on these sizable investments. SVR estimates that Kubota sells approximately 20-30 thousand UTVs a year in North America. Comment: This is another sign of the aggressiveness of the new CEO Christopher Metz who came in at the end of last year. Previously, after some sales and inventory problems with their ATVs, he immediately took a write down and quickly moved to reduce inventory rather than slowly trying to reduce the inventory over the next year or more. With companies like Honda and Yamaha renewing their UTV efforts, strong competition from Chinese manufacturers like Kymco and CFMoto and continuing efforts by Polaris and Can Am, Arctic Cat needs to continue to invest in their UTV product line in order to just maintain their market position, let alone improve it.